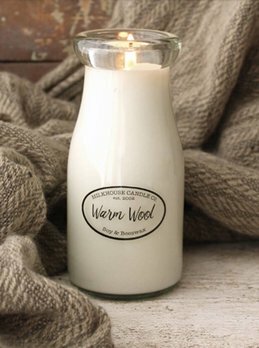 The Milkhouse Warm Wool Candle is like your favorite blanket on a cold day. With the scents of a warm woodsy fragrance & soft citrus notes, all brought together with a fine musk you'll have your home filled with a cozy scent all day. 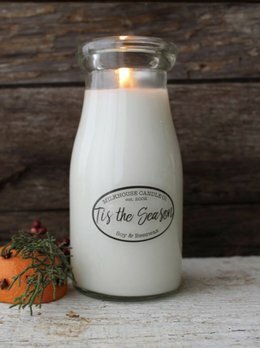 Truly the candle for the Holidays, the Milkhouse Tis The Season scent! Bring a blend of tart citrus & warm spices with a touch of vanilla to your favorite space. Bound to bring back great memories! 50 hours of burn time, made in the USA.